I received my B.A.in philosophy from Wheaton College, Illinois and my Ph.D. in philosophy from the University of Texas at Austin. 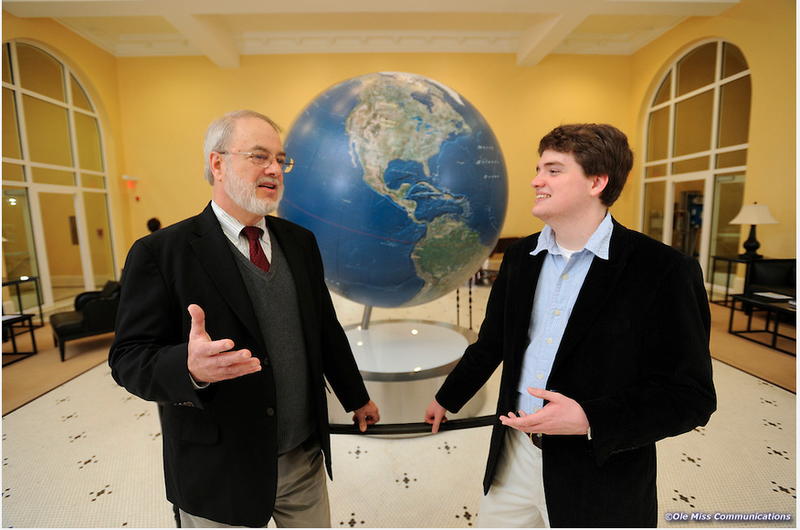 I have been teaching since 1970 and have been with the University of Mississippi since 1980. 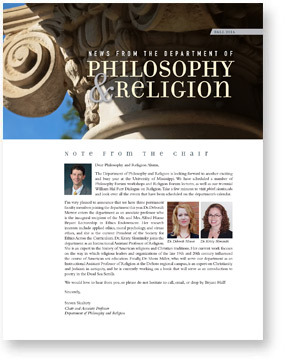 I was Chair of the Department of Philosophy and Religion from 2005 to 2012. I regularly teach undergraduate courses in logic, history of philosophy, and philosophy of religion. In recent semesters I have taught a graduate seminar on the Continental rationalists (Descartes, Spinoza, Leibniz) as well as on Wittgenstein. For me, one of the most enjoyable tasks in teaching is getting students to see that philosophical ideas are not dusty artifacts from the museum of the mind but that they can be outrageous, fascinating, perplexing, hopeful, dangerous, gripping, troubling, exhilarating, illuminating, and (sometimes) true. Probably, the most rewarding experience in teaching is to walk out of the classroom with more ideas than I had when I started, because my students gave me new insights or left me with some hard thinking to do at the end of our discussion. For the past several years, most of my work has been done in the history of philosophy. This work resulted in a book, The Voyage of Discovery: A Historical Introduction to Philosophy, third edition (Wadsworth, 2007). It is a one-volume account of the history of philosophical thought from the ancient Greeks to the last few decades of the twentieth century. The Ancient Voyage, The Medieval Voyage, The Modern Voyage, and The Contemporary Voyage. The Philosophical Journey: An Interactive Approach, fourth edition (McGraw-Hill, 2009). Philosophical Questions: Classical and Contemporary Readings (McGraw-Hill, 2003). In the future I hope to publish several articles in the philosophy of religion concerning God and time.